Probably the best part about runDisney race weekends is all of the exclusive merchandise available at the Health & Fitness Expo. There’s nothing like having some great commemorative items to take home with you to remember your big accomplishment! Princess Half Marathon Weekend is right around the corner and there are some great new items you’ll be able to pick up. Let’s check them out! 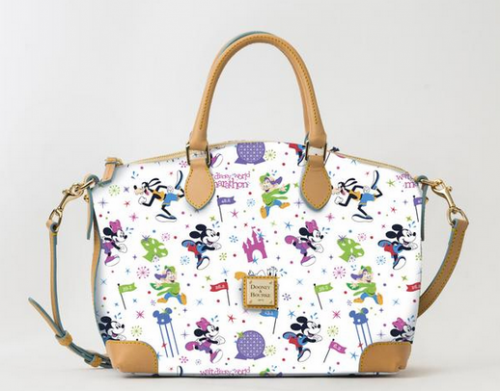 Frozen has taken over as the main theme of the weekend and you can find snowflakes and characters on many of the items. 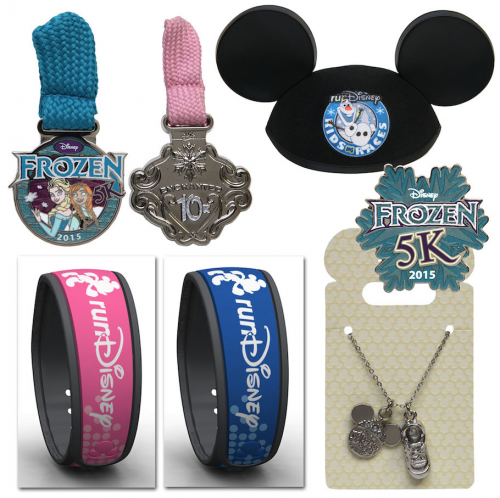 There is also the addition of a pink runDisney Magic Band to go with the blue design that was introduced over Marathon weekend. This is the 2nd year for the Glass Slipper Challenge and they have knocked it out of the park with these turquoise and black designs. I just LOVE that wine glass! 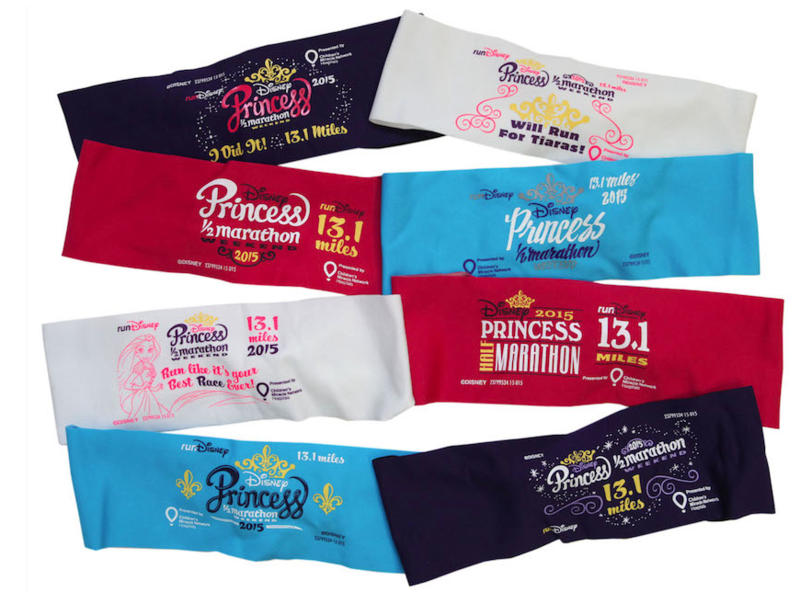 Ahhh BondiBands…my running must have! Look at all of designs you’ll have to choose from! 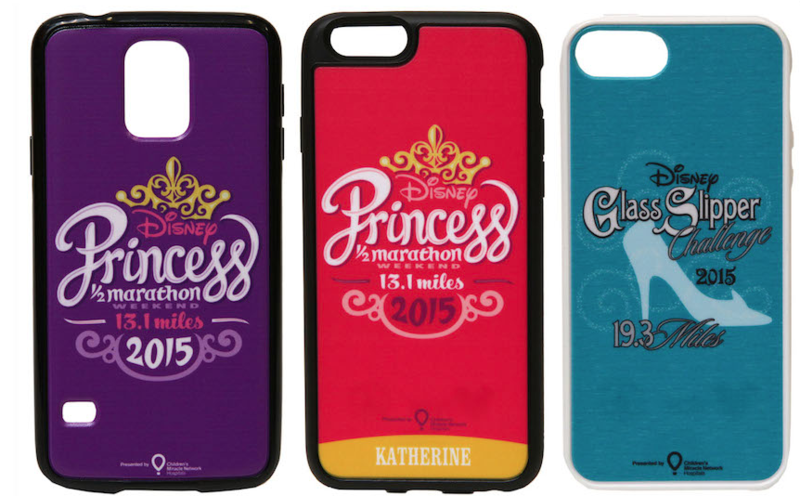 Another new addition to the race merchandise are these fun phone cases…looks like they can be customized too! 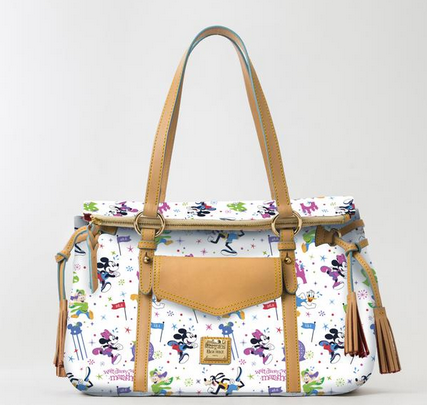 And of course, no Princess Weekend would be complete without the ultimate accessory, a Disney Dooney & Bourke purse! These new Princess designs are whimsical and fun…perfect for this royal event. Earlier today, New Balance released NEW design in their runDisney collection that will be release over Princess Half Marathon weekend. 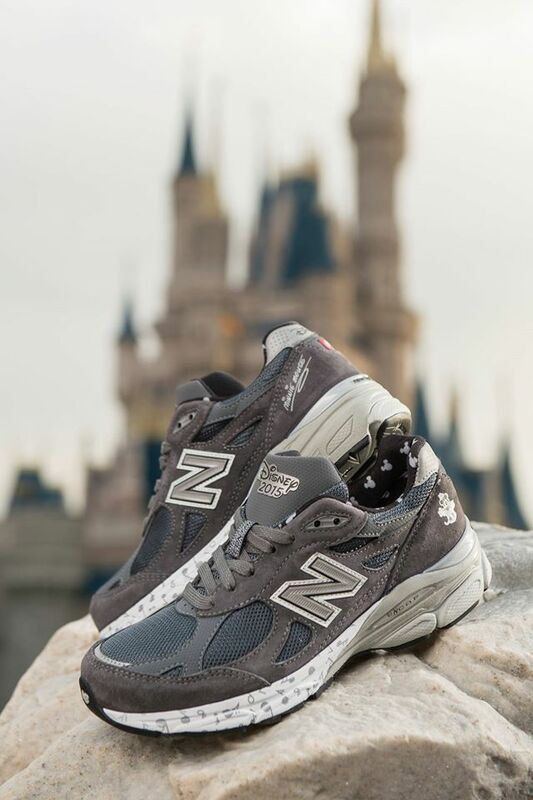 Over Marathon Weekend the new Steamboat Willie inspired 990v3 shoes and now they are introducing 860v5’s in similar designs and capturing the spirit of the Sorcerer Mickey and Pink Polka Dot Minnie designs from the 2014 collection. 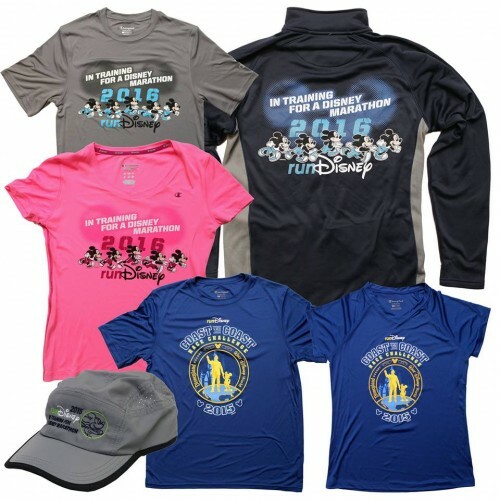 The shoes will only be available at Health and Fitness Expos during the runDisney event weekend. To minimize waiting in line for shoes, New Balance has created a virtual queue to let you know when it’s your turn to be fitted and make your purchase. Starting on Thursday, February 19, starting at 6 a.m. runners can sign up at NBvirtualqueue.com using their bib number. Non-runners can sign up daily, pending inventory. 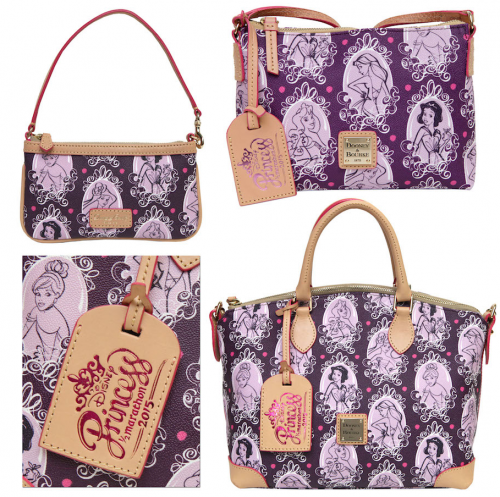 Are you excited about the new designs or are they leaving you feeling a little grey?? 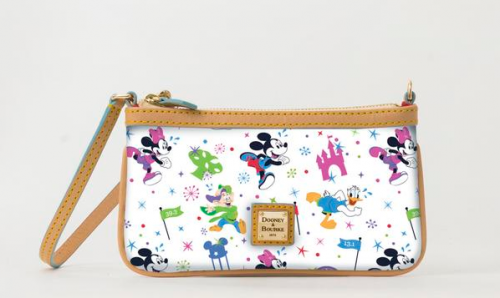 If you are an AP holder or DVC member you may be eligible for discounts at the Expo, so don’t forget to bring your cards and always ask! 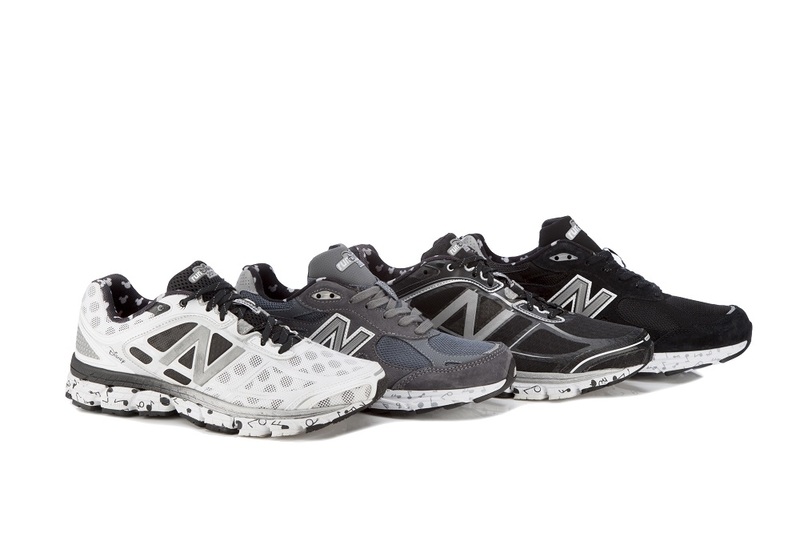 New Balance shoes generally do not get discounts. 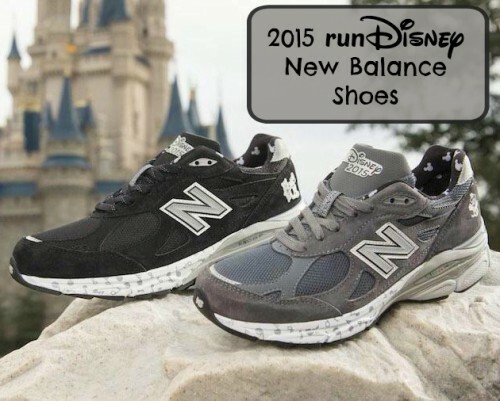 New Balance and runDisney have released the new design for the 2015 shoes today and there is something definitely missing…color! Well that is on purpost you see… This limited edition 990v3 design features Retro Mickey and Minnie inspired by Steamboat Willie and celebrates the classic heritage of Disney and New Balance. This is a lighter weight, stability shoe that provides support and superior cushioning. 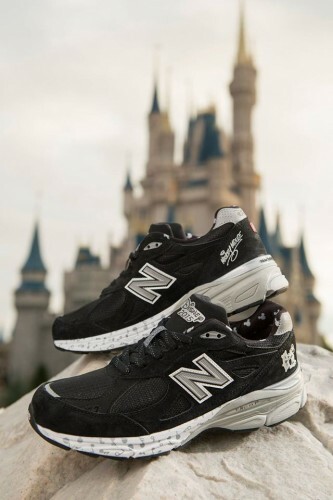 The men’s shoe is black and features and images of Mickey Mouse as Steamboat Willie on the heel along with his signature. 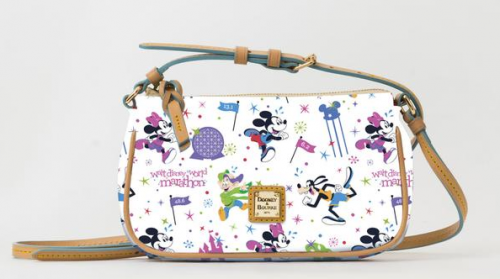 The women’s shoe is grey and features a classic image of Minnie Mouse and her signature as well. 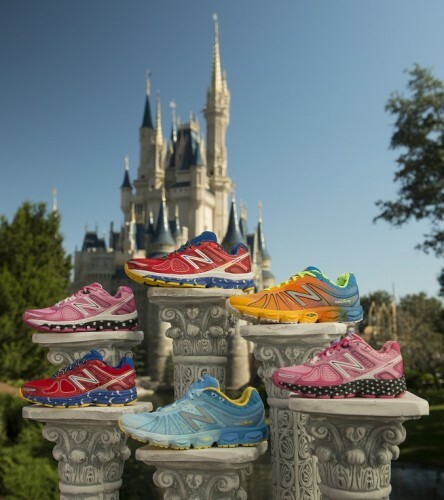 These shoes will be available beginning tomorrow, January 7th at the Walt Disney World Marathon Weekend Health & Fitness Expo at the ESPN Wide World of Sports Complex via the New Balance Virtual Queue. 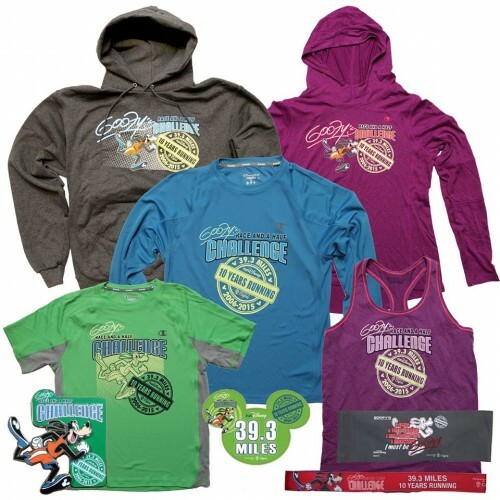 Runners can sign up at NBvirtualqueue.com using your bib number starting Wednesday, January 7 at 6:00 am. All other guests can sign up Thursday, January 8 at 6:00 am. Set your alarms! If you are into more colorful shoes on your feet, fear not because the 2014 designs will also be available at the Expo. And for all of you West Coasters running during Star Wars Half Marathon Weekend, these will be available at that Health & Fitness Expo as well. So what do you think?? Do you like the new retro design?? Personally, I’m a big fan! 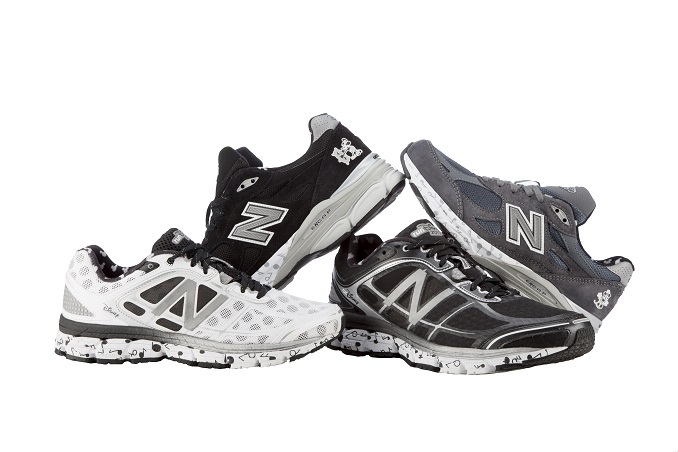 One of the things that I love about New Balance shoes are they’re retro looks. In fact, I even own black and grey pairs of the classic 574s! 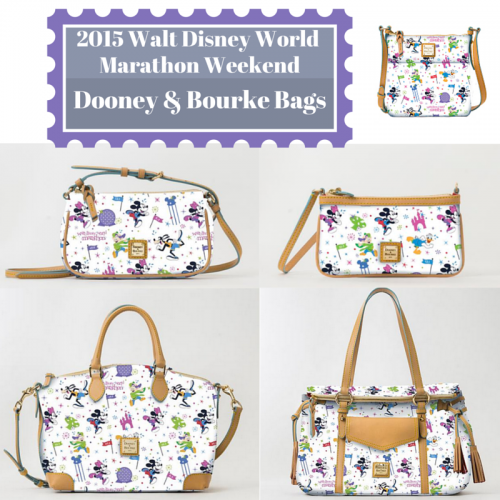 So to incorporate runDisney into a similar shoe is pretty rad in my book. I’d love to hear your thoughts! 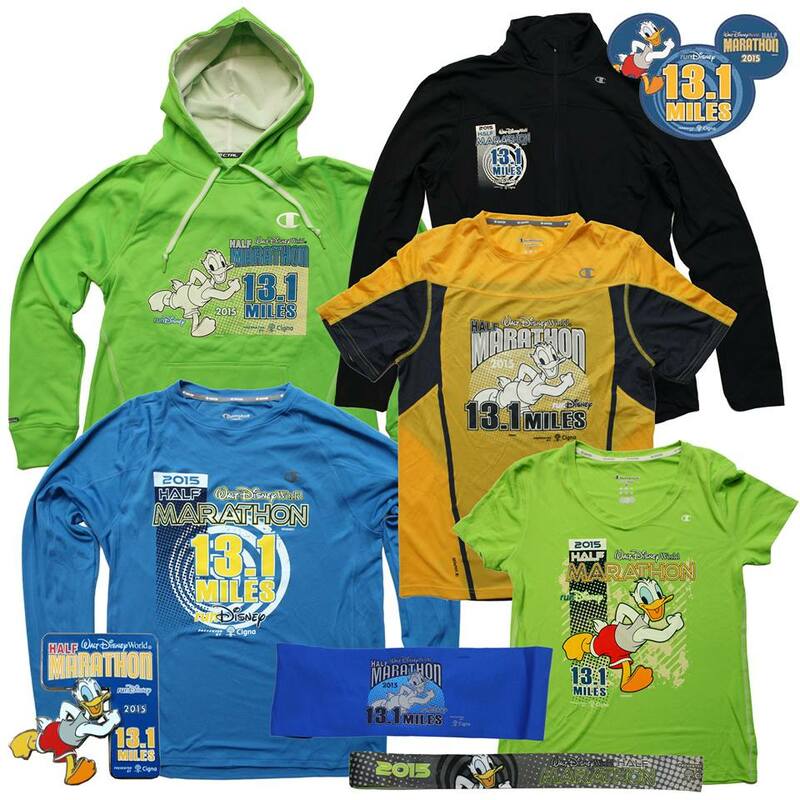 Here we have some of the overall Marathon Weekend items. 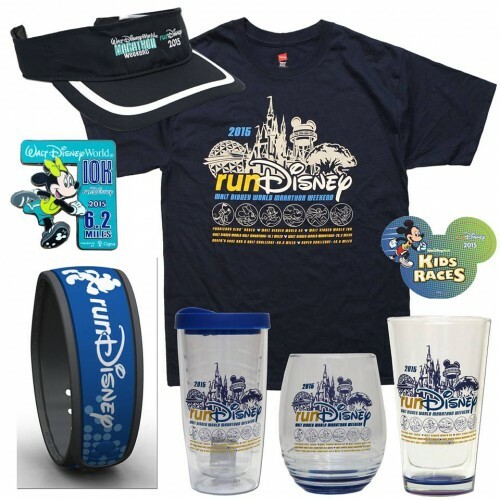 As always, I love the pint glass but I especially LOVE the edition of the new runDisney Magic Band!! Those will surely sell out quickly! Here are the designs for the 2015 Coast to Coast shirts featuring the Partners Medal design which is a great addition. 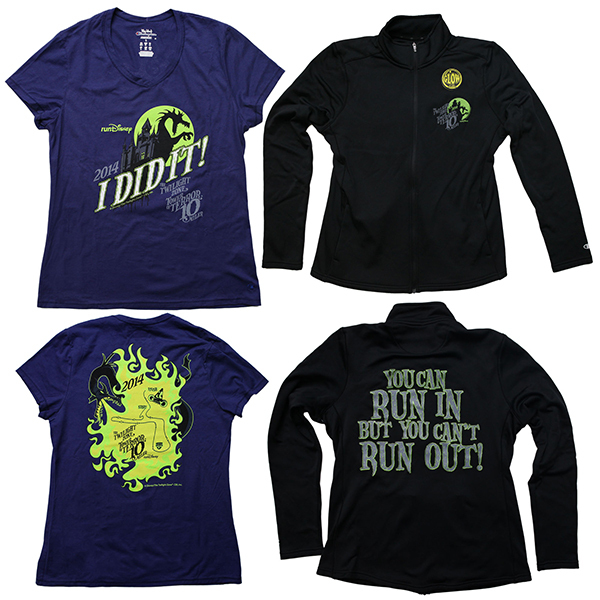 If you have your sights already set on a 2016 race, you can also pick up an “In Training” shirt to keep you motivated throughout the year. 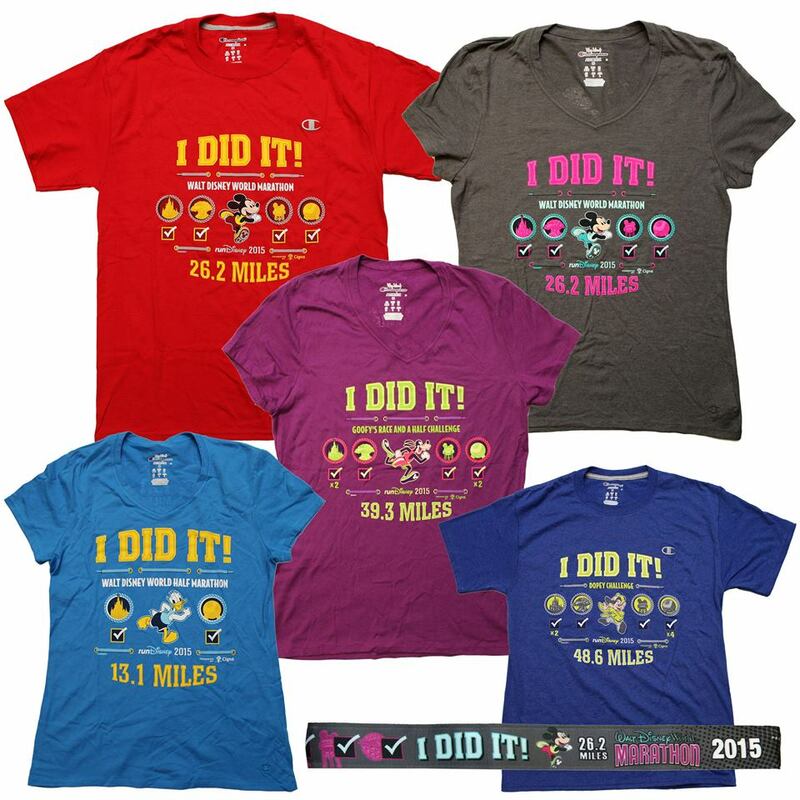 Each race and challenge over Marathon Weekend features it’s very own “I Did It!” merchandise. 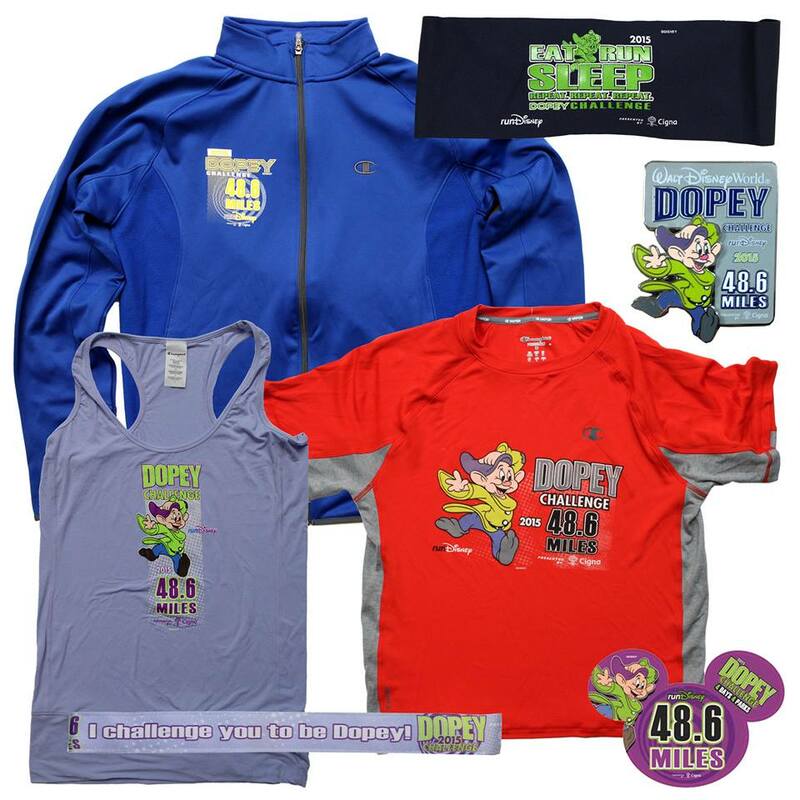 You can pick up one or six if them if you are taking on the Dopey Challenge! 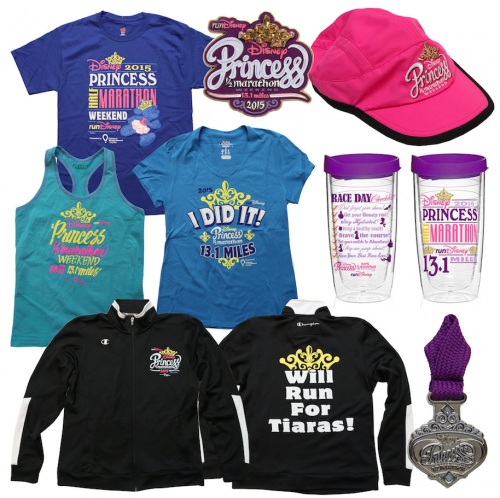 There is also a wide variety of options that feature all the events…I’m loving the addition of tank tops this year, something I have been asking for for a LOOOOONG time!! WOW…that’s a lot of stuff!! As with most runDisney expos, it’s best to get there as early as possible if you have your heart set on certain items since they tend to sell out quickly. 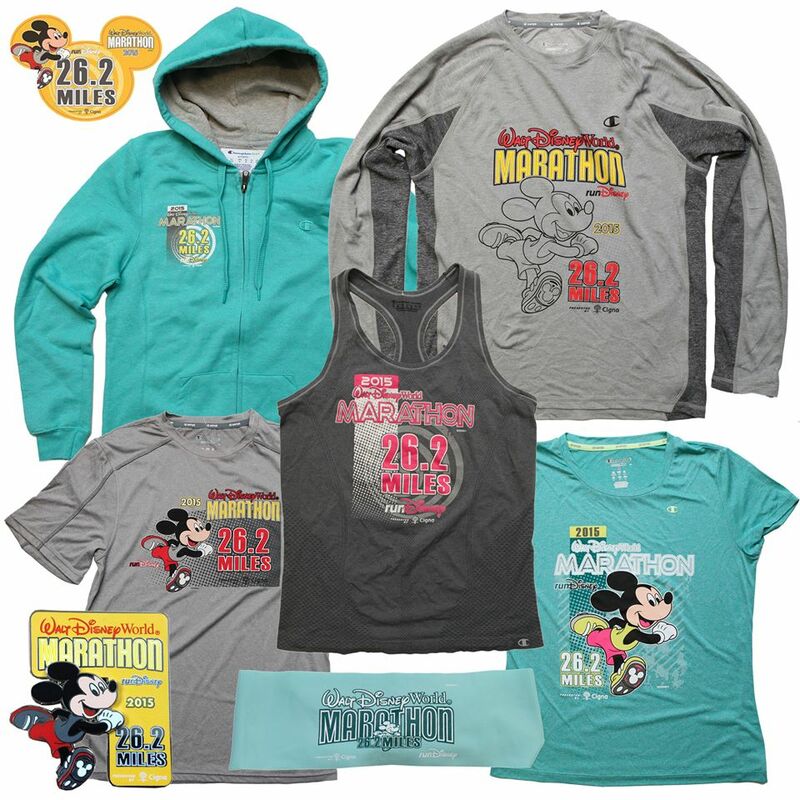 It’s hard to pick favorites out of all this great merch, but I’d have to go with the entire runDisney glass set, the aqua Marathon hoodie and BondiBand, and the pink Goofy pullover hoodies as my favorites. What will you be getting over Walt Disney World Marathon Weekend?? Your trip into the fifth dimension is fast approaching and runDisney has shared a sneak preview of some of the merchandise you will be able to purchase at the Health & Fitness Expo. I’m a BIG fan of the switch from Stitch as the race weekend “mascot” to Maleficent. She is much more sinister and evil than mischievous Stitch. 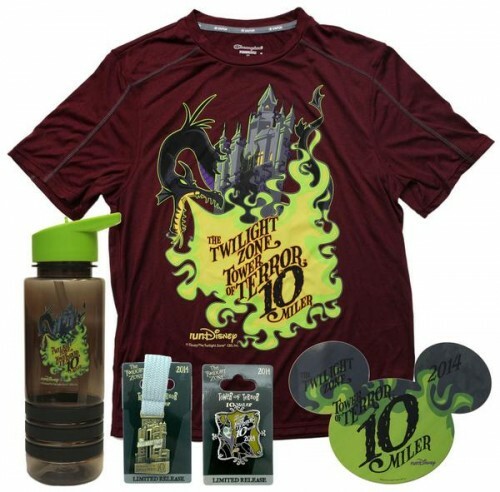 This maroon shirt looks like it is the official race shirt that you will be getting with registration. The graphic is a bit large for my taste, but I really like the color of the shirt. 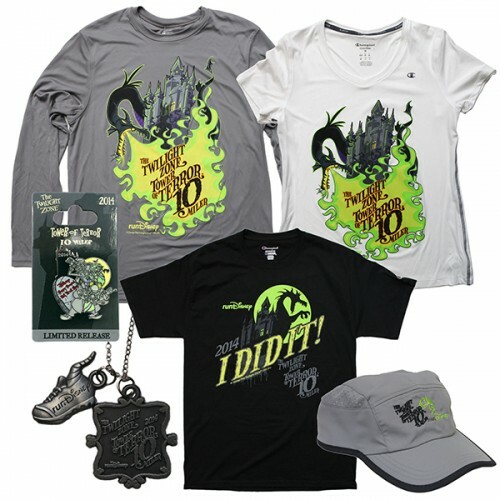 The black “I Did It” shirt is SUPER cool and how can you go wrong with the hitchhiking ghosts on a pin?! I’m also a big fan of this purple shirt and black jacket. A bit more understated than the maroon shirt. So what do you think? How many of these items will you be purchasing this weekend? What’s your favorite?